This modern family home features clean lines and a mono slope roof. This unique house plan was designed with large windows to capitalize on the beautiful surrounding landscape and lets in the most natural light possible. Linear designs and mono-slope or flat roofs are hallmark characteristics of this modern residential unit. The owners of this home were looking for a clean, simple and forward-thinking design. This craftsman country home offers a cozy and relaxed feel. It features generous porches, overhanging beams and rafters, detailed millworking and natural materials such as stone and cedar shakes. his spacious Georgian manor is a modern take on the centuries old design that was popular in Colonial North America. Georgian homes feature a symmetrical front facade and elegant entryway. This industrial famhouse design hearkens back to the turn-of the-century industrial era. It’s a modern take on the cozy farmhouse style and mixes the use of both man-made and natural elements. This design balances the modern look of exposed steel and the warm elements of distressed wood, exposed brick and copper-tone accents. 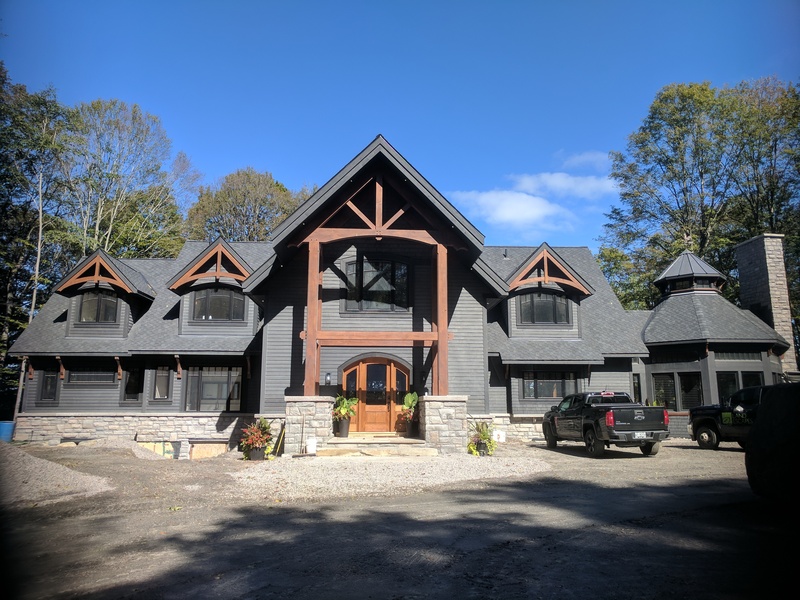 This gorgeous Muskoka cottage was designed to compliment the rustic surroundings and to capitalize on the gorgeous lake and sunset views. © Vanderwoerd Drafting & Design 2018. All rights reserved.